"The labour market has continued to strengthen and ... economic activity has been rising at a strong rate," the US central bank said. Policymakers, however, took particular note of the moderation in business investment. WASHINGTON: The US Federal Reserve held interest rates steady on Thursday but remained on track to keep gradually tightening borrowing costs, as it pointed to a healthy economy that was marred only by a dip in the growth of business investment. Business investment can be a key to rising productivity and future growth, and the fact that it had "moderated from its rapid pace," as the Fed said, was the only cautionary note in a policy statement that touted strong job gains and household spending, and a "strong rate" of overall economic activity. 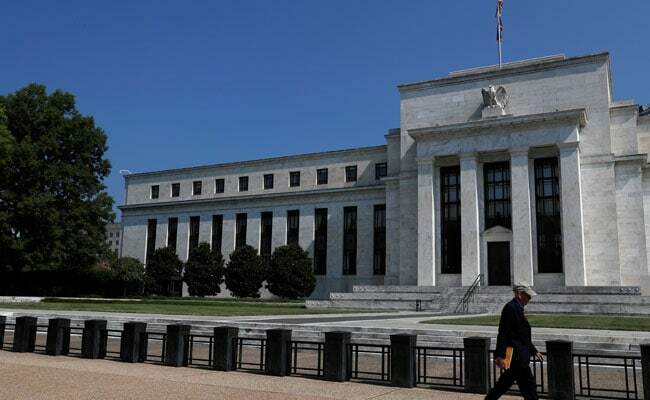 "The labour market has continued to strengthen and ... economic activity has been rising at a strong rate," the US central bank said, leaving intact its plans to continue raising rates at a gradual pace. The Fed has hiked rates three times this year and is widely expected to do so again in December. The statement overall reflected little change in the Fed's outlook for the economy since its last policy meeting in September. Inflation remained near its 2 per cent target, unemployment fell, and risks to the economic outlook were still felt to be "roughly balanced." After adding four-tenths of a percentage point to economic growth in the first six months of the year, lagging investment in "nonresidential structures" trimmed a quarter of a percentage point in the annualised growth rate for the third quarter. Financial markets, which had expected the Fed to hold its benchmark overnight lending rate steady in the current range of 2.00 per cent to 2.25 per cent this week, ticked lower after the statement was released. "The only surprise here is that they weren't more hawkish," said Boris Schlossberg, managing director of foreign exchange strategy at BK Asset Management in New York. "There were a couple words that were more muted - that business investment had 'moderated' from its earlier pace. But apart from that they have not signalled any warning signs at all." US stocks, which had rallied broadly on Wednesday after the results of the congressional elections, turned lower as the Fed's statement offered no indication the central bank might slow the pace of its rate increases. The dollar also weakened against the euro and yen and US Treasury yields held near the day's high. The 10-year Treasury note yield, a benchmark for both consumer and business borrowing costs, was 3.23 per cent, around the highest since 2011. Data released in late October showed the US economy grew at a 3.5 per cent annual rate in the third quarter, well above the roughly 2 per cent annual growth pace the Fed and many economists regard as the underlying trend. The Fed's policy statement did not explicitly take stock of the recent volatility in US equity markets that led to the selloff in October, or address the possibility of a slowdown in global growth next year.